ThaiBev, the Thailand-based spirits and beer maker, has bought a 75% stake in Myanmar Distillery Company (MDC), the producer of Myanmar’s whisky Crown Royal, and its supply chain, for S$1 billion (US£494.4m). Singapore’s largest public transport operator will team up with Japanese trading house Toyota Tsusho Corp and a Myanmar company to offer a joint limousine service in Yangon to cater to the need for premium transit opportunities. The government is upping attempts to regulate the livestock trade between Myanmar and its neighbours. HEINEKEN Myanmar has officially introduced a new beer in Myanmar for beer drinkers in search of new tastes and experiences. Tiger Crystal, a light lager, is a new variant of Tiger Beer, one of the country’s most-loved beers, according to company press release. Australia’s Woodside Petroleum and its partners have deferred gas exploration plans in Myanmar until 2018 after some disappointing drilling results, according to four people familiar with the situation. Kyaukphyu’s Chinese investors have hit back at criticisms over their majority stake in a proposed deep-sea port in Rakhine. They emphasised that it was the Myanmar government who drew up the shareholder structure and that the ball is in Nay Pyi Taw’s court to break the inertia and move the negotiations forward. 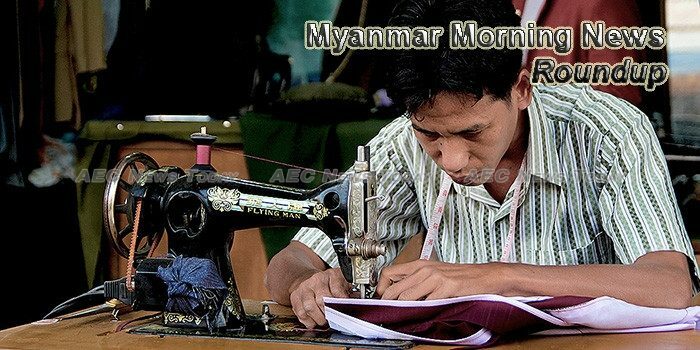 NVESTORS and developers of Special Economic Zones (SEZs) have responded to criticisms from the Special Rapporteur on the Situation of Human Rights in Myanmar, who stated that all SEZs in the country have adversely affected communities. The EU is to cut back ties with Myanmar’s military in response to the brutal security force crackdown on Muslim Rohingya areas of the Southeast Asian state. The World Bank is “deeply concerned by the violence, destruction and forced displacement of the Rohingya” and will redirect an existing loan targeted for national development towards assisting the crisis in Rakhine. The funds will remain within Myanmar, it told The Myanmar Times on October 16. On August 25, the Arakan Rohingya Salvation Army (ARSA)—a fledgling insurgent group in conflict with the Myanmar government—attacked multiple border police posts in the western state of Rakhine and killed 12 officers. In response, Myanmar’s security forces launched a bloody campaign against the country’s embattled Rohingya community, a campaign that has killed more than 1,000 people, according to the UN Special Rapporteur on Human Rights for Myanmar. The Rohingya refugee crisis has exposed Bangladesh’s diplomatic weaknesses. No permanent member of the United Nations Security Council has strongly backed Dhaka to solve the refugee problem. China rendered its support to Myanmar at the UN so that the country does not face any immediate threat such as sanction. The United States’ intention to solve the Rohingya refugee problem is at best half-hearted, as has been reflected by the fact that the issue was not even mentioned in President Donald Trump’s speech at the UN General Assembly. The ANC has added its voice to the growing international condemnation of the violence directed against the Rohingya by Myanmar’s military. Reporting by Myanmar-based media during the first two weeks of the conflict in Rakhine State relied too heavily on government sources for their coverage to be considered accurate or objective, a recent report by the Myanmar Institute for Democracy claims. The makeshift refugee camps in Bangladesh face a fresh test, after at least 50,000 Rohingya flooded across the border from Myanmar’s north on Oct. 16.